League of War: Mercenaries - Build your army of mercenaries and battle your way across the globe in League of War: Mercenaries, the ultimate tactical war game in beautiful 3D that will put your strategy skills to the test. Build a fighting force of extraordinary magnitude to wage war on corporations and nations. Immerse yourself in a 3D world with fast-paced combat, build your military headquarters and conquer your enemies across a lushly rendered campaign map. Take on hundreds of missions or compete with fellow Mercenaries to claim victory around the globe and enjoy the spoils of war! Upgrade your army with futuristic tech, battle your enemies, and come out on top in this tactical war. • Battle your way through stunning 3D content, from your military headquarters to intensely fast-paced combat! • PVP combat challenges you to earn valuable loot by defeating fellow players in head-to-head battle! • Multiplayer games challenge your strategy with intense 2 player battles. Defend your base and battle to be the best warlord! • Tactical wars have enveloped the world. Battle for control in intense RTS combat! • RTS games challenge you to strategically configure and prepare your squad in a variety ways to counter sophisticated enemy units! • Building games challenge you to level up your military fortress and unlock exciting campaigns! • Upgrade & equip units with a vast array of technology for specific roles to defeat your enemy! • Online multiplayer lets you create an Alliance, and band together against enemy franchises for powerful rewards! • Defense and offense alike are important – which strategy will you use to conquer the world? 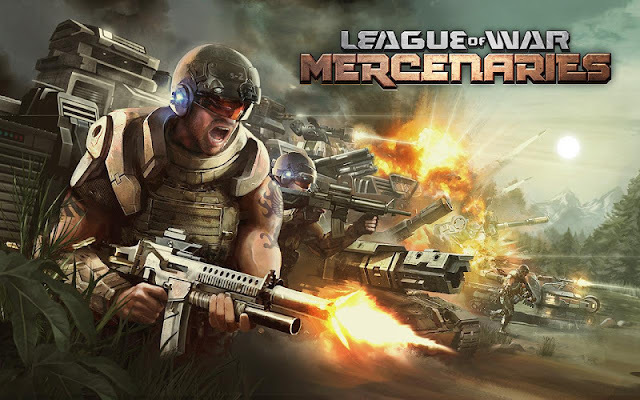 League of War: Mercenaries: install APK and play the game!